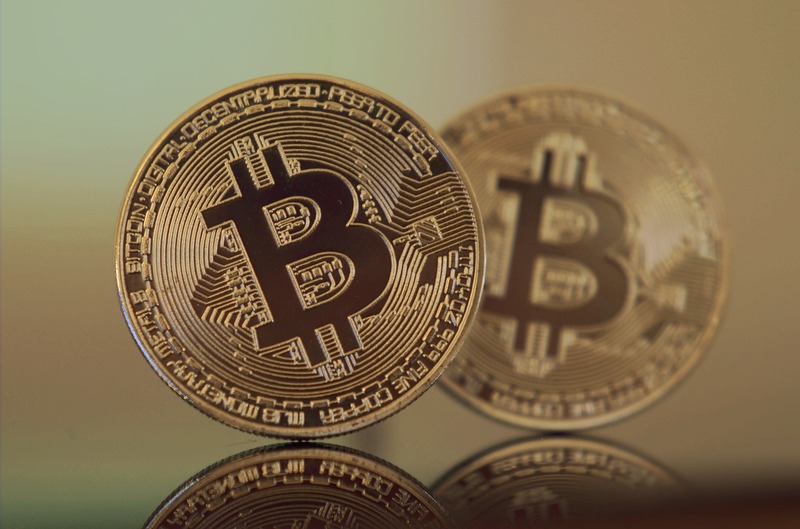 Bitcoin is the initial virtual cryptocurrency of the internet which has existed for quite some time and transformed the way the digital transaction is made on the internet. But what it actually is, where did it come from, how you can get them etc. are some of the questions that pop into our mind when we think of Bitcoin. First, we need to define Bitcoin, which is a cryptocurrency. A cryptocurrency is lines of computer codes which holds monetary value. These lines of codes are generated by high-performance computers. Cryptocurrency is also called digital currency. It is a digital public currency which is created using complex mathematical computations and policed by computer users, often in millions, called “miners”. Physically this currency doesn’t exist. It is all digital. The word “Crypto” comes from the word “Cryptography” which is a security process that is used to protect transactions. These transactions send the lines of code for the purpose of buying. Cryptography also controls new coins creation, where “coins” are the specific amounts of code. The major benefit of cryptocurrency is that it is not regulated by government or any financial institution which made it so popular. Most of the cryptocurrencies start with a market cap in consideration that means that their production decreases over time which makes each particular coin worth more in the future. Bitcoin was the first ever cryptocurrency that was invented. There is no one credited with the creation of this currency as cryptocurrencies are designed mainly for maximum anonymity. But bitcoins first made an appearance back in 2009 from a developer, rumoured to be Satoshi Nakamoto who has disappeared. As Bitcoin was the first cryptocurrency that existed, all the other cryptocurrencies created after that are called alternative coins or Altcoins. Ethereum, Peercoin, Litecoin and many more other currencies are called Altcoins since they aren’t Bitcoin. One of the crucial advantages of Bitcoin is that it can easily be stored offline by a person on local hardware. This process is called cold storage, and it protects the Bitcoin from being taken by anyone else. When the Bitcoin is stored on the internet at someplace (hot storage), there is a high risk associated with it as it can be stolen. However, in case the person loses the hardware which had the bitcoins, the currency is gone forever. At present, there is estimation that over $30 billion in bitcoins are either misplaced or lost by miners and investors. The major controversial thing about Bitcoin is its unique characteristic, i.e. it isn’t controlled by any government, and it provides total anonymity. In recent years, a lot of criminal traders bought Bitcoins to move their money without getting tracked by government and law enforcement agencies, which made Bitcoin even more popular. There have been numerous scams in cryptocurrency world, and many naïve investors have lost thousands of dollars to these scams. Another characteristic of Bitcoin is that Bitcoin accounts can’t be either frozen or examined by any tax men or banks. Bitcoins can be moved without the middleman like banks. Bitcoins are totally independent of governmental and financial institutions. Bitcoins are totally virtual coins which are designed to be “self-contained” for their inherent value which doesn’t require any bank for storing and moving the money. Owing bitcoins means that you own physical gold coins. You can possess the value and trade them as pieces of gold in your wallet. Bitcoins can be utilized to buy goods and purchase services online and even keep with yourself as an investment hoping that their value increased over time. Bitcoins are traded through one personal “wallet” to another where a wallet is a person’s own database which is stored on his computer or on his smartphone or somewhere in the cloud. Bitcoins are immune to forgery. It is complexly and computationally-intensive to create that it is financially worthy enough for counterfeiters to try to manipulate the system. When it comes to value, it varies for every bitcoin. At present, there is over $2 billion worth of bitcoins. Bitcoins will stop being created once their total number becomes 21 billion coins which is supposed to be near the year 2040. By 2017, more than half of these bitcoins have already been created and exist. Bitcoin is completely unregulated and decentralized. There is no financial institution or bank, and there is no depositor insurance coverage. This currency is self-contained and un-collateral which means that there is no precious metal associated with bitcoins. The value of bitcoin resides within the bitcoin itself. Bitcoins are managed by “miners”, a large network of people who utilize their computers to the Bitcoin network. These miners perform as a ledge keepers as well as auditors for transactions made in Bitcoin. These miners get paid for the accounting work they do by means of earning new bitcoins every week they contribute to this particular network. Every bitcoin has its own simple data ledger file which is called blockchain. Each blockchain is unique to an individual and as per his bitcoin wallet. All bitcoin transactions that are made are logged and also made available on a public ledger which helps in ensuring that there is authenticity and it assists in preventing fraud. This particular process plays a key role in preventing transactions from getting duplicated and anyone to copy the bitcoins. Security related to Bitcoin largely depends on the individual in case he has made cold storage or hot storage even though the currency is created by encrypted. A bitcoin wallet can be stored online or on physical hardware, and the person needs to protect it from getting stolen by hackers. It is important to keep a failsafe copy in order to avoid real loss. Bitcoin has transformed the financial system as we know it. It has made the digital transactions to be totally unregulated by any government or financial institution and made anonymity accessible to everyone when it comes to financial transactions. A person can use bitcoins to buy any good or service online, and many big brands like Amazon have already started accepting payments in Bitcoins. Even governmental agencies are adopting this currency due to its inherent characteristic of forgery resistance. Value of bitcoins vary time by time, and it is up to the investors to gamble on Bitcoins. Over the years, we have seen its value growing and even falling drastically in a small period of time which makes it quite volatile. Bitcoins can be hacked if a person is not careful enough in keeping his bitcoins online or on cloud storage. Bitcoins can also be lost in case a person keeps it in a hardware and loses the hardware such as a hard drive or USB drive. With all these features, associated risks and benefits, it is easy to reach the conclusion that Bitcoins are the future even though they are highly controversial.